For the most part, eavestroughing or gutters will operate as expected with no prompting from a homeowner; they merely collect water from the roof of a home and carry it away from the exterior walls and foundation on an as-needed basis year-round, regardless of whether the family is home or out, awake or asleep. Such systems are the ideal standby or on-demand contractors, so to speak; whenever there is any rainfall or melting snow, they are already in place and prepared to take action instantaneously. 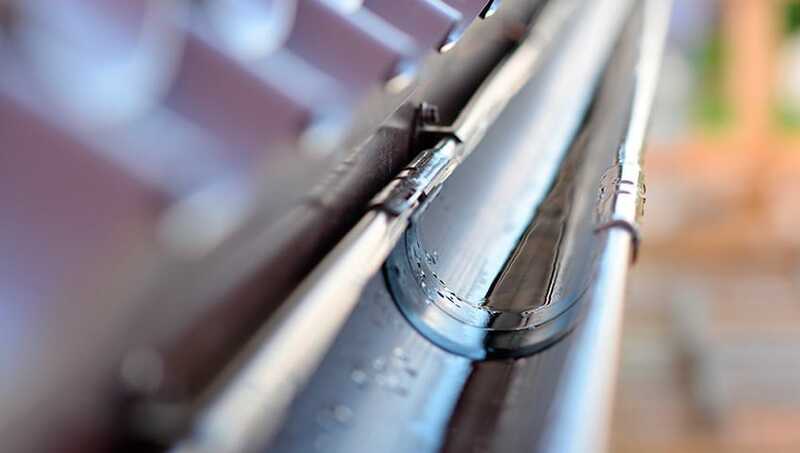 Of course, there are many periods of time when gutter systems are simply not required to carry out their basic function; the heat and lack of rainfall in Toronto during the recent summer would be a prime example. However, due to their fixed installation, gutters just cannot be removed and stored until they are needed again; this means that they must remain exposed to the elements year-round also, which in turn can subject them to the collection and compacting of dirt and debris that may adversely affect their performance when called upon next. Therefore, despite the remarkable summer weather enjoyed by the residents of Toronto and the GTA this year, conditions may not have been the best for the natural flushing of their eavestroughs. This makes a fall gutter cleaning imperative, especially since harsh weather is being predicted for the winter ahead – more snow and ice and even colder air temperatures than last winter. 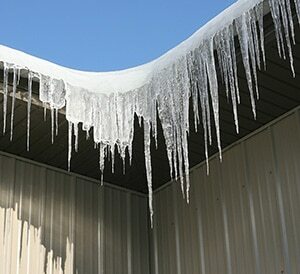 In addition to cleaning the gutters in the fall, there are other measures that homeowners can take to stop ice build-up throughout the winter; learn more about these preventative steps by visiting our Ways to Avoid Frozen Gutters page. Gutter cleaning involves working at heights, which in turn requires the proper knowledge and equipment, and a keen attention to safety. To that end, some homeowners may not have the necessary tools to clean their gutters in an adequate fashion and/or they might be hesitant about working on a ladder or on a sloped surface, especially when conditions can be wet or slippery. All such concerns can be alleviated by contracting the professional eavestrough cleaning services offered by Integrity Roofers. The experienced crews from Integrity Roofers can thoroughly clean even the most difficult-to-reach gutters in a safe and effective manner, thereby removing the personal risk for the homeowner and helping to avert the potential for roof damage, expensive repairs, or perhaps a full roof replacement over the winter. More information on the benefits of using a professional eavestrough cleaning service for your Toronto residence is available at: Our Professional Gutter Cleaning Services page. The efficiency of any gutter system is not based solely on maintaining a regular cleaning schedule throughout the year; as a reminder, a recommended gutter cleaning frequency is at least twice and perhaps as often as four times per year. Further information on gutter installation and maintenance practices may be obtained by reading our Essential Facts about Roof Gutters page. Another essential facet in this overall process will be the choice of roofing company that will complete the installation/replacement. Integrity Roofers have been providing expert eavestrough installation, repair, and maintenance service for Toronto and area residents for over 20 years; throughout that time, Integrity Roofers have developed a reputation for prompt and reliable workmanship and customer service. For dependable eavestrough service in Toronto, including cleaning, repair, installation, or replacement, Call the professionals from Integrity Roofers today at 416-639-0779 or Contact us to book your fall gutter cleanup before the harsh winter weather arrives.